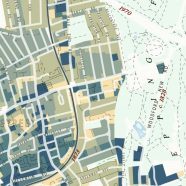 This attractive map of the housing and infrastructure history of Walthamstow and Leyton in north-east London has been created by Scott Davies. Scott used QGIS and OpenStreetMap data to create an attractive, vintage-style basemap and then shaded residential areas with different colours indicating when each block was developed. 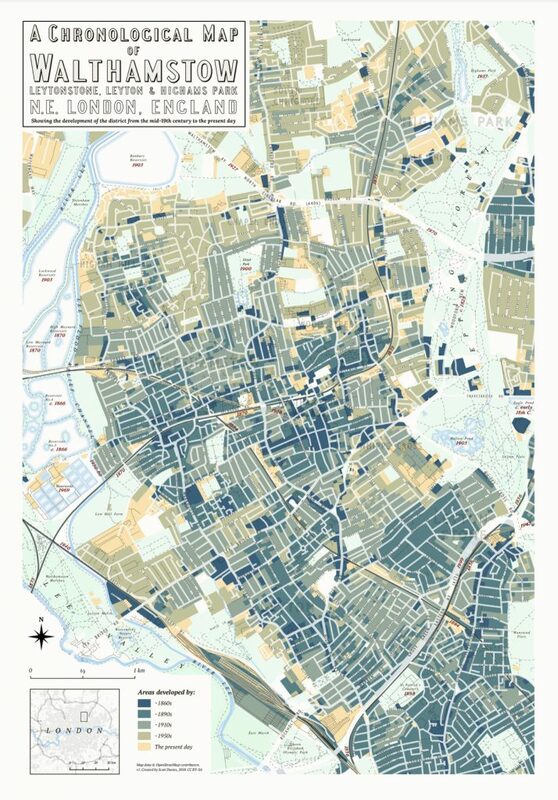 Older areas are shown in blues, while the shaded colour becomes yellower to show newer developments. CDRC Maps has mapped larger building blocks in a similar way from Valuation Office Agency data, however the resolution of the VOA data is quite low. This manually compiled map shows much more detail, including individual buildings in some areas. Scott used old Ordnance Survey maps, amongst other sources, to determine the antiquity of buildings – so once-isolated dwellings are discretely shown on the map even as more recent developments have surrounded them with newer housing. Dates written in red show the development of other major features in the area, such as the various reservoirs in Walthamstow Wetlands, the railways and Victoria Line, major roads, parks and cemeteries. The map is finished with an attractive set of adornments, including a lovely old-style title, compass rose, scale, overview map as an inset, and key. Scott used Inkscape to provide the artistic and cartographic finishing touches and elevate the work from a simple datamap to a work of art. The overall piece is a lovely bit of digital cartography that shows effectively and attractively the residential history of this London suburb. You can see Scott’s map on this tweet which links to a PDF of the map. 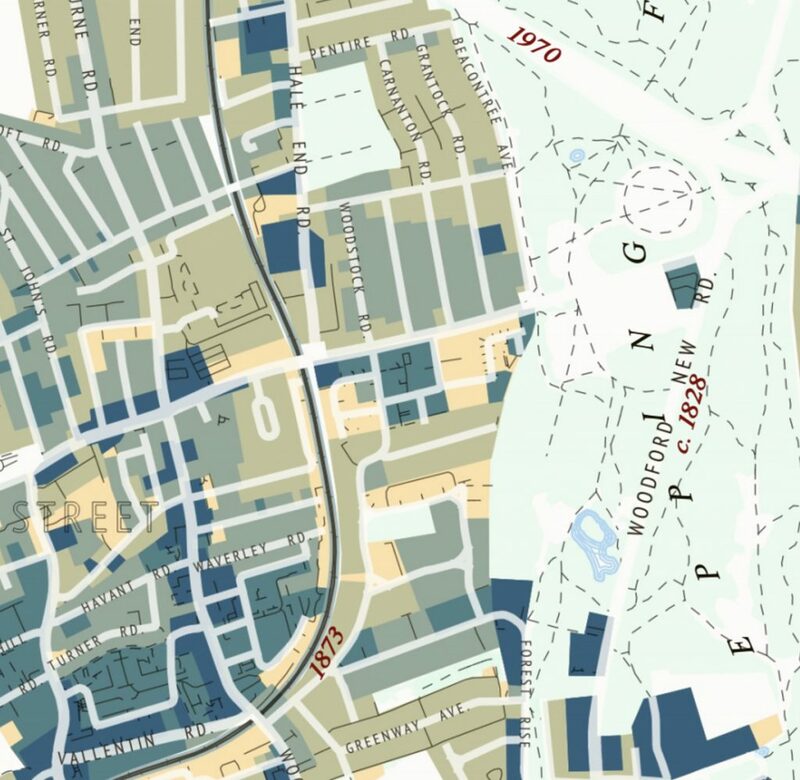 Detail from “A Chronological Map of Walthamstow”, around the Wood Street/Forest Road junction.